Russell Mayne announced himself as the new pin up boy of ESL at the recent IATEFL conference with his attempted burning at the stake of pseudoscience (PS) and neuromyths that pervade/populate (circle the verb that best applies to you) our industry. Are these theories really zombies that refuse to die and erode our professional standards or mere harmless half-truths such as gum taking ten years to digest (more on that later!). Can these theories instead potentially promote a form of curiosity that could be beneficial for teachers and students? Before reading further get a better understanding of the issue by watching Russel’s entertaining talk at IATEFL ‘A guide to pseudo-science in English language teaching’and reading his recent article ‘Tales of the Undead’ at ELTJAM. The #AusELT chat on this topic traversed such things as Suggestopedia, urban myths, the potential harm of PS, waste of resources, nasal learners, zodiac textbooks, the divorcing of VAKS from multisensory input and exorcism (I bet you’re sorry you missed this one). While on the other side some participants believed that the harm was not apparent. 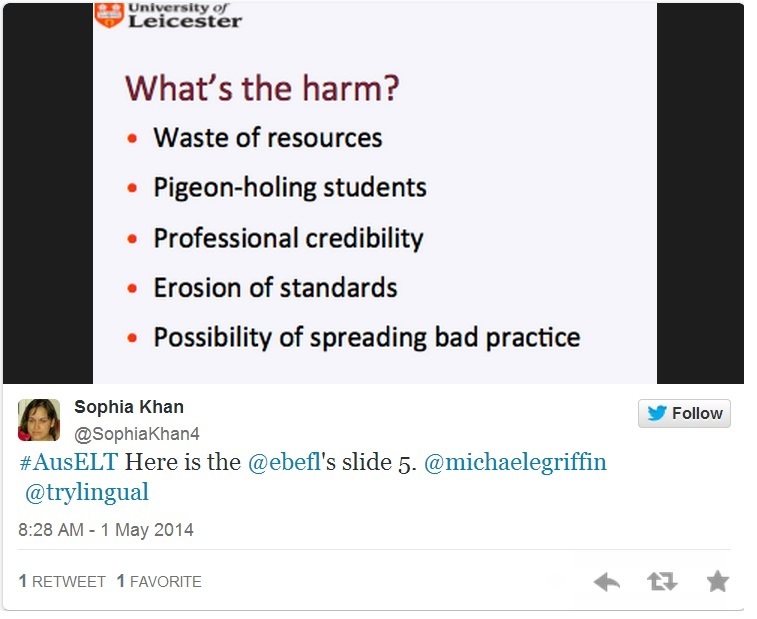 In particular @michaelegriffin wasn’t “convinced as @ebefl that the harm is so great or so clear.” @trylingual noted that writers who support PSs must influence trainees but also went onto to raise the point of urban myths and their lack of harm. The discussion then moved towards the weak acceptance of PS and that it could be used as a form of content to generate discussion. @michaelegriffin said he uses things like horoscopes and learner style surveys and that he was not “indoctrinating folks into it”. @trylingual saw this as “a weak acceptance of PSs for a purpose”. The conversation then moved towards VAKS. 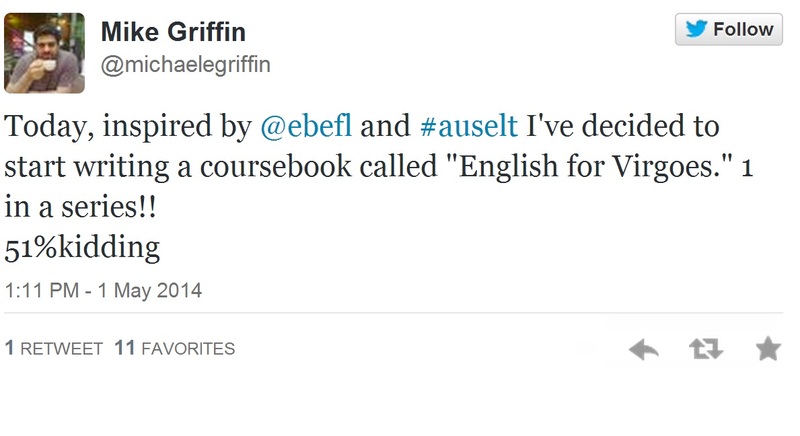 A division was made by @michaelgriffin that “potential problems come when we try to teach based on VAKS, LS or MI”. @Sophia Khan believed that “variety/change of pace is just good, and ps human cognition inevitably draws on ALL available resources. “ Also others agreed about keeping activities varied. 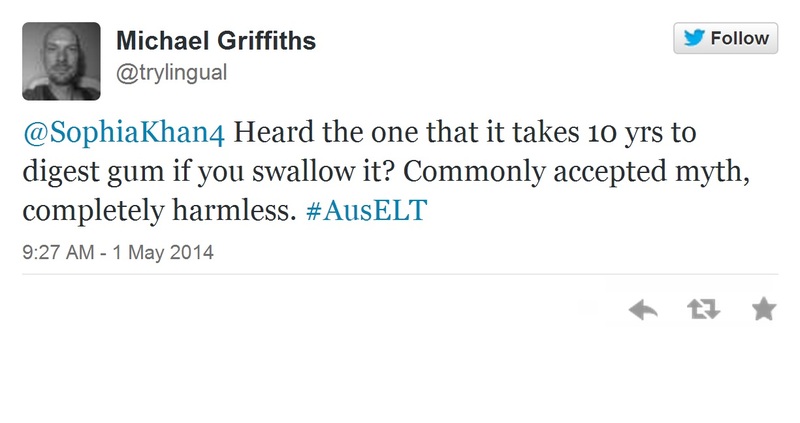 @trylingual drew attention to Mike Smith on the #AusELT Facebook page who talked about teacher enthusiasm (for PSs). Mike Smith said “Bottom line is, teachers are more successful and effective if they are passionate and enthusiastic. The same is true of learners, and we can all relate to inspirational teachers in our past.” Following this some articles were shared on teachers doing research papers on PS. Also the “baloney detection kit” was mentioned (see links at the end of the article). Also @ebefl was asked to provide the best evidence against PS. @ebefl noted there is not much criticism in the EFL literature of NLP except Thornbury 2001 (see links at the end of the article). So Pseudo Science friend or foe? Where do you stand on this issue? 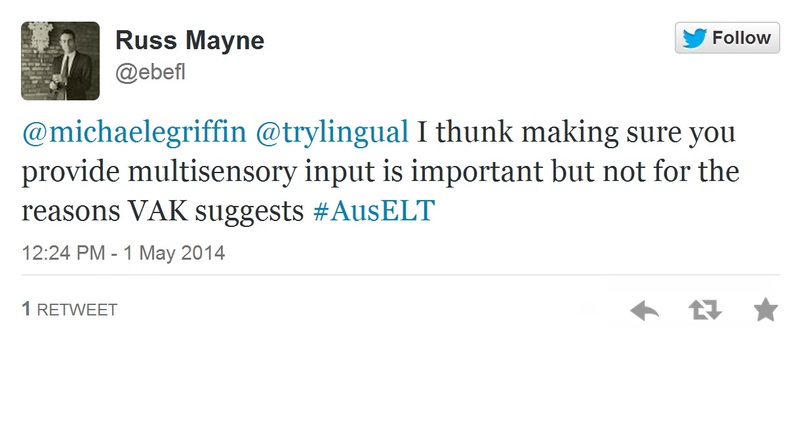 Nasal Learners – Learners who acquire languages more effectively through the use of the olfactory system. Neuro-Linguistic Programing (NLP) – A half-baked mix of communication, personal development and psychotherapy that has risen into some language learning classrooms. Pseudo-Science (PS) – Science that is not based on research such as ‘the world is round’ and ‘global warming’. Suggestopedia – Suggest a whole lot of stuff and get it adopted as an alternative teaching method. This entry was posted in Uncategorized on June 10, 2014 by #AusELT.